This book presents a picture of the Ultimate Reality which is timeless and universal in apj5eal and which encompasses all beliefs. 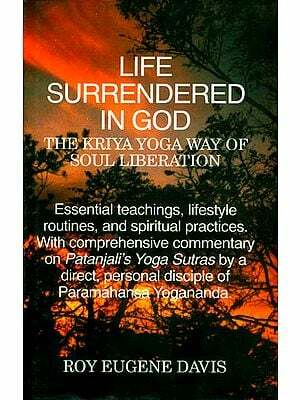 It dispels popular misconceptions regarding God and presents an unbiased, balanced view of the Supreme Truth. The book respects all faiths. It does not seek to guide or advise anyone on spiritual matters. It merely presents the quintessence of the Highest Truth. It gives complete freedom to everyone to do whatever he or she feels is best. Vijay Venkateswar, B.Com, ACA, is a chartered accountant. At the age of eighteen, a profound spiritual experience completely changed the course of his life. From then onwards, he began an extraordinary voyage into the subtle realms of the Absolute. Different facets of the Supreme Truth were revealed to him in the course of this incredible inward journey. He has two decades of mystical experiences and understanding of the Ultimate Reality. Who are we? Why does the cosmos exist? Does God exist? If yes, what is our relationship with Him? Why does evil and misery exist? Such questions have troubled man since the dawn of civilization. All religious and philosophical beliefs and all modern scientific theories—relativity, quantum theory, string theory are nothing but the outcome of man’s quest to make sense of the universe he lives in. In recent years, the realization has dawned on many scientists that science alone cannot give a complete theory and they have started giving serious attention to eastern and western mysticism. The international best sellers “Tao of Physics” and Dancing Wu Lu Masters” are the result of a fusion of modern science and ancient spiritual wisdom. The primary reason for the renewed interest of scientists in philosophy is the anthropic principle. There are over a hundred unvarying aspects to the universe. If you made the slightest alteration in any of them, it would become impossible for life to exist. The electromagnetic force is exactly 1039 times stronger than the gravitational force. Had it been a little weaker, say 1033 times as strong, stars would have been a billion times less massive and would have burnt a million times faster. Long before any of us were born, universal darkness would have engulfed the cosmos! The difference between the mass of the proton and the neutron is roughly twice the mass of the electron. If it were not exactly what it is, all neutrons would have become protons and matter would have ceased to exist! Water, almost alone among compounds, is lighter in its solid state than in its liquid state. This is why ice floats. Had it not done so, the oceans would have frozen from the bottom up, and in time the earth would have been entirely covered by ice! The examples pile up one after the other, from several branches of science: physics, chemistry. astronomy and bio-technology. Many scientists are in agreement that all this could not have happened by chance. Slowly scientists are being forced to acknowledge that there is some supremely intelligent power which is responsible for all this. We, human beings yearn to know the Highest Truth. The grand unified theory which scientists are in search of, can become a reality only if scientific ideas and discoveries are integrated with mystical experiences of the Absolute. Our goal is a complete, consistent, logical theory which plains everything that can be understood by us. This book is a small step in that direction. 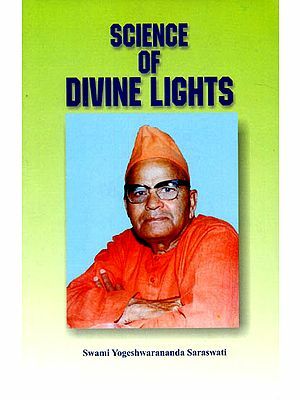 Combining scientific knowledge and spiritual wisdom, this book presents a picture of the Highest Truth, which is timeless and universal in appeal and which encompasses all beliefs. Scientific and religious prejudices prevent humanity from knowing the Supreme Reality. This book challenges conventional views on science, religion and philosophy and offers a radically different view the Supreme Truth. It dispels popular misconceptions regarding God and presents are unbiased, balanced view of the Truth, in a simple, concise manner so that the common man can easily grasp it. I thank God’s laws for choosing my body to reveal the Highest Truth to mankind. I am deeply indebted to my mother for all that she has done for me. I dedicate this book to her. I am very grateful to my publishers for undertaking the publication of this book.